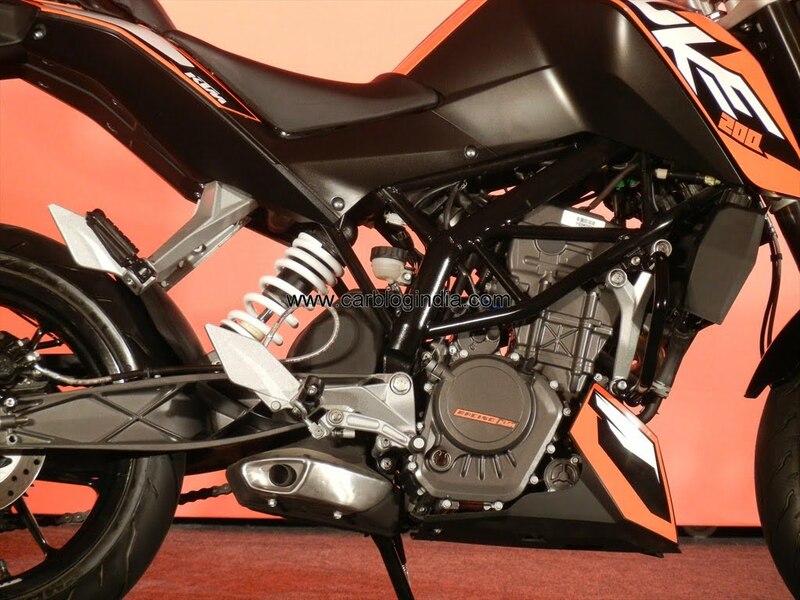 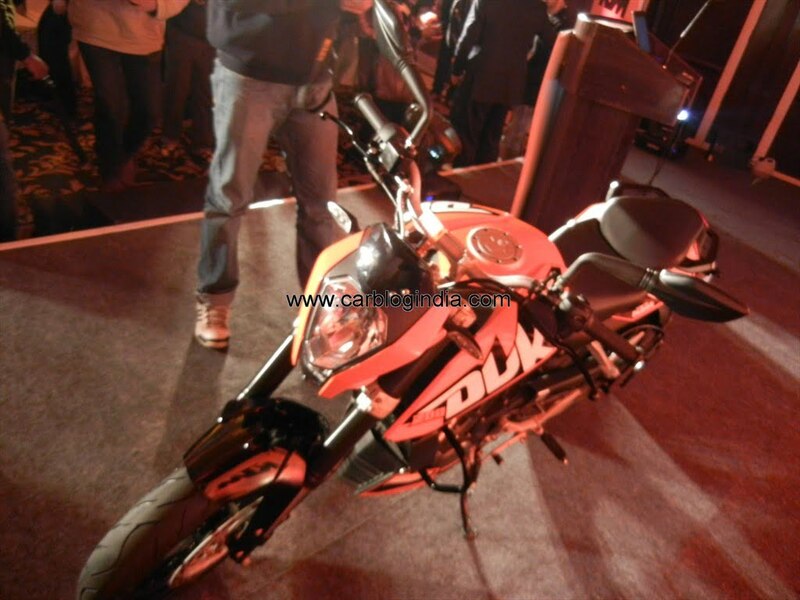 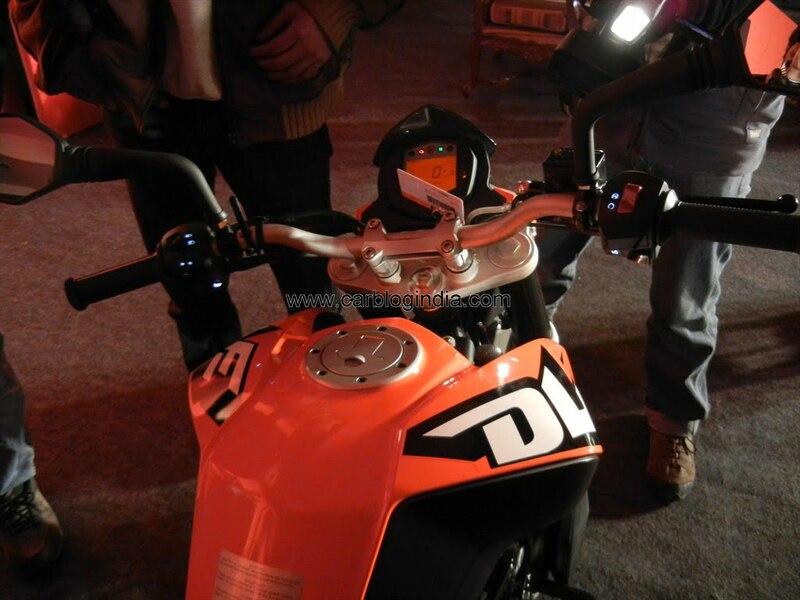 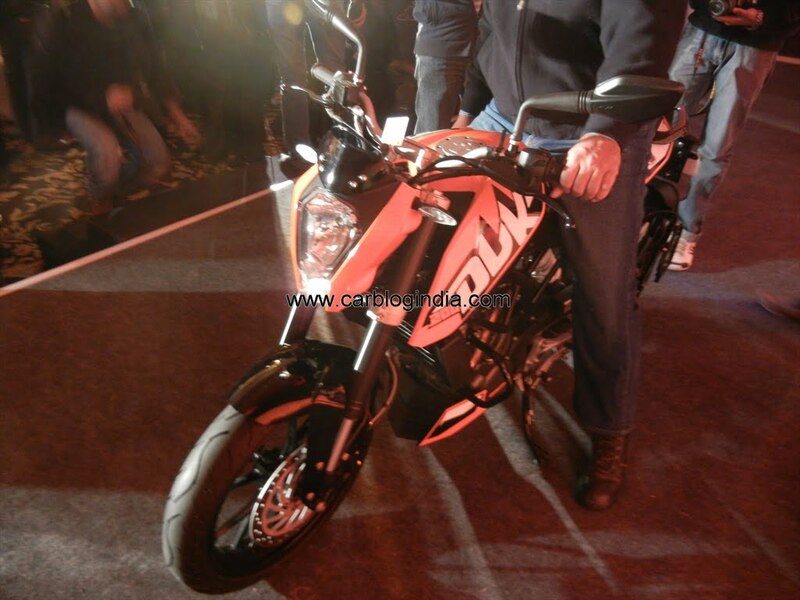 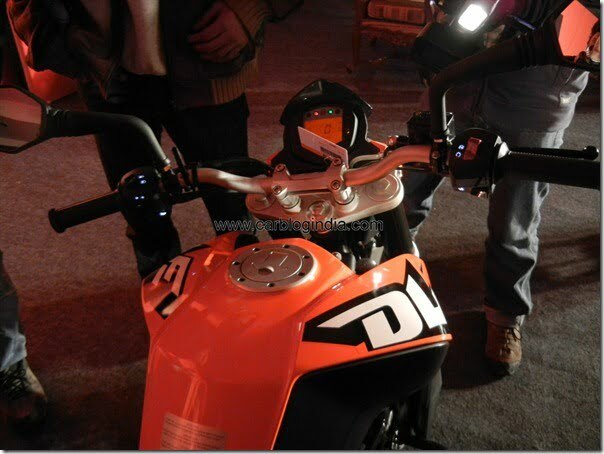 We have just witnessed the launch of KTM Duke 200 at new Delhi on 24th January 2012 at New Delhi India which brings an all news excitement enticing sporty bikes at relatively affordable price tags to Indian biking enthusiasts. 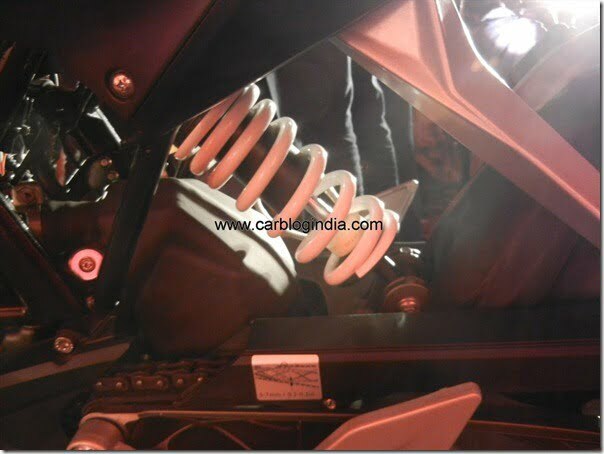 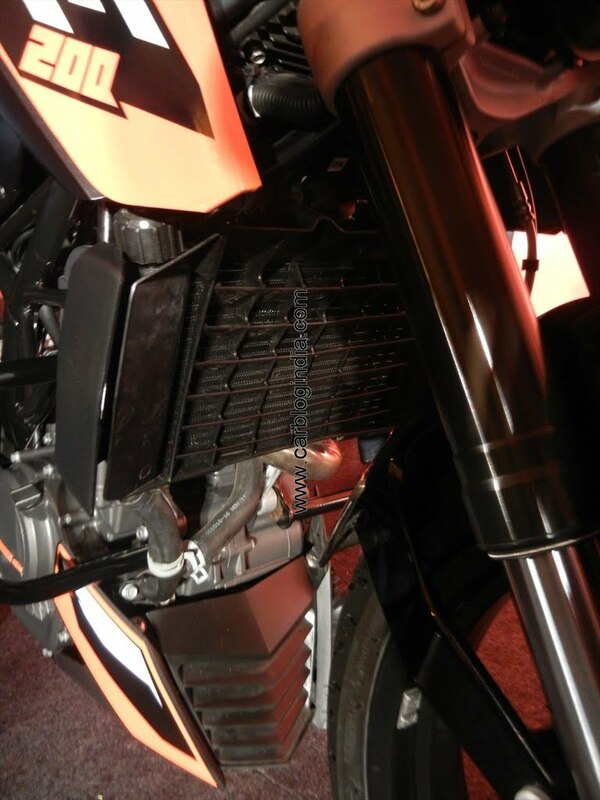 The KTM Duke 200 has been finally launched in India by Bajaj Auto India and KTM, the Duke 200 comes with power packed 200 CC Liquid cooled DOHC 4 Valve petrol engine with peak power of 25 BHP and 6 speed manual transmission gearbox. Read on for complete details. 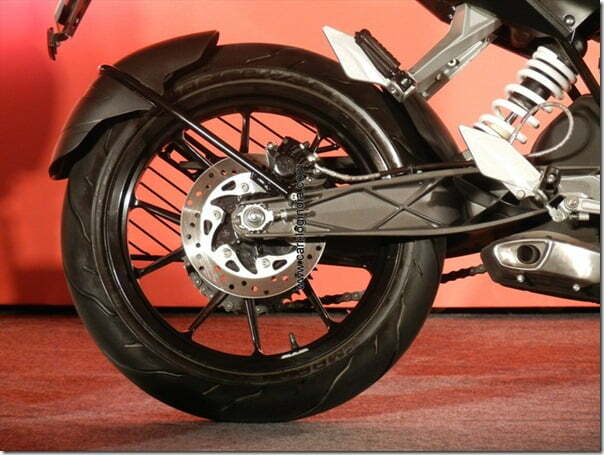 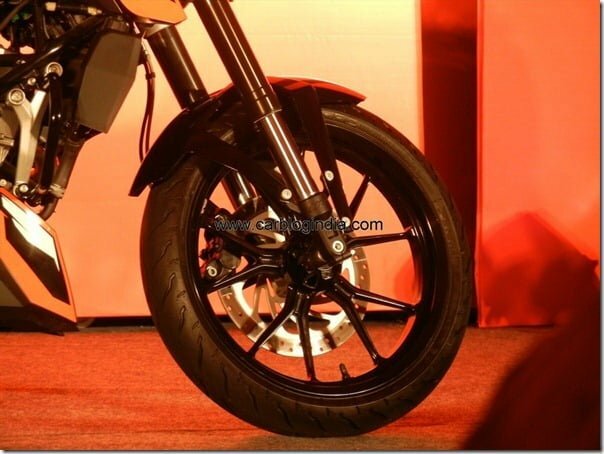 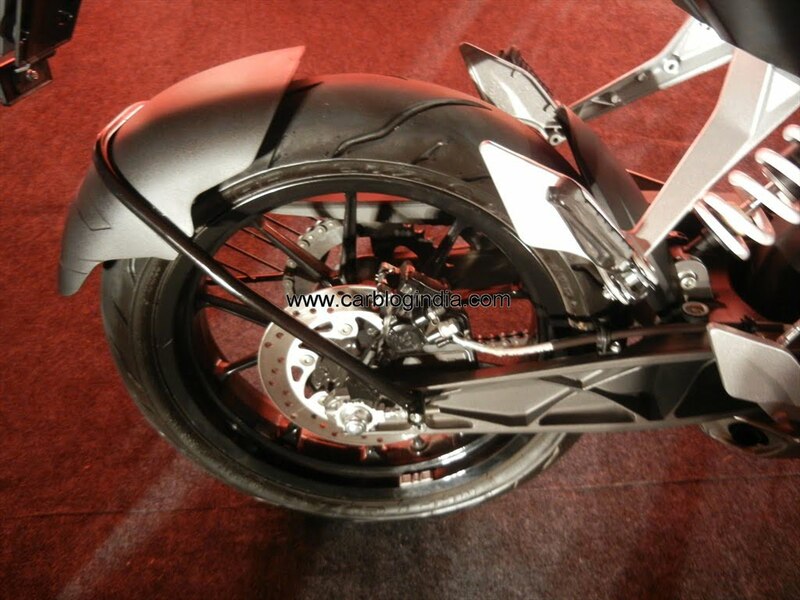 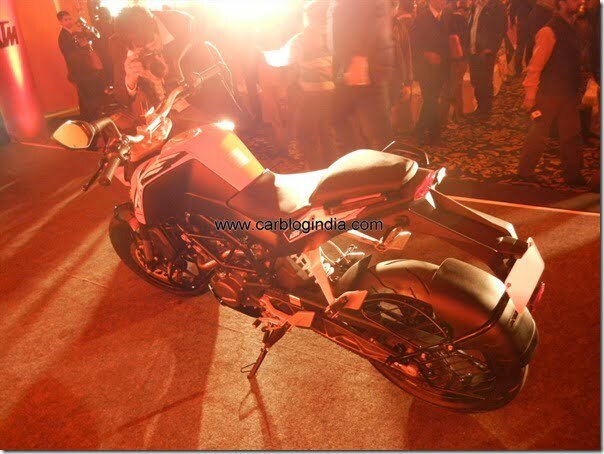 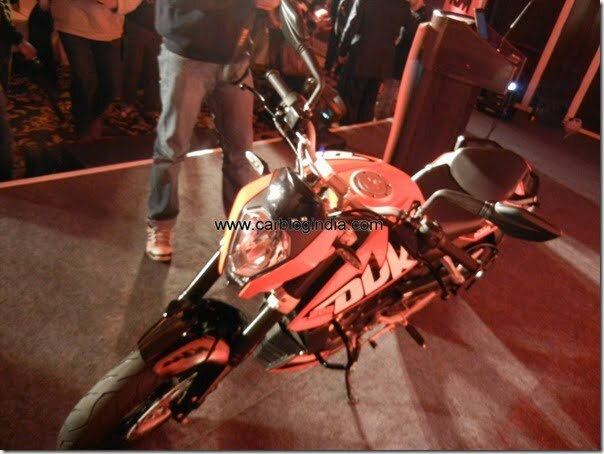 Duke has all it takes to challenge the popular Yamaha R15 Version 2.0 which has been revealed in India few months back. 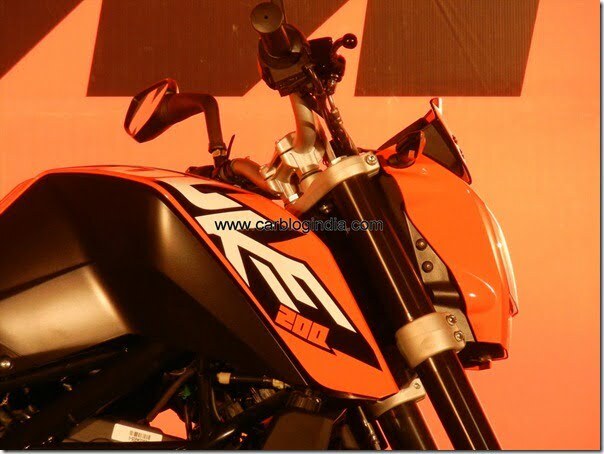 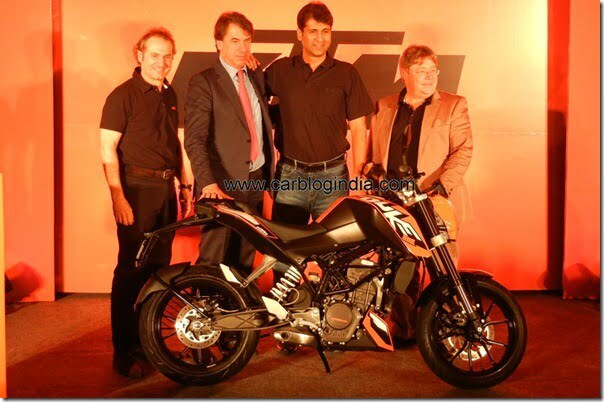 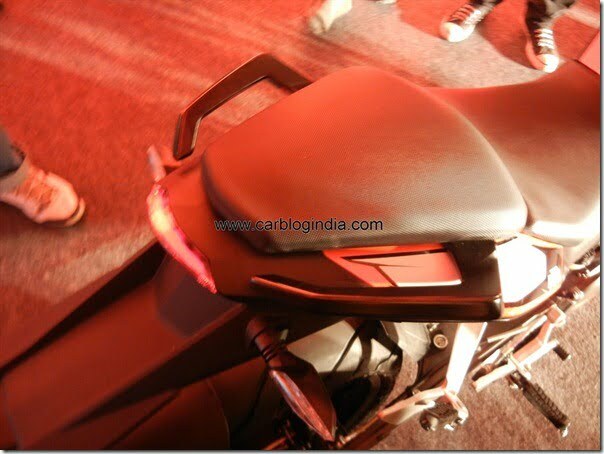 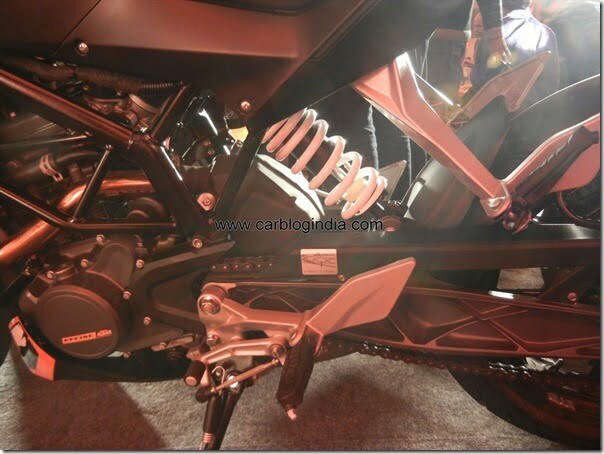 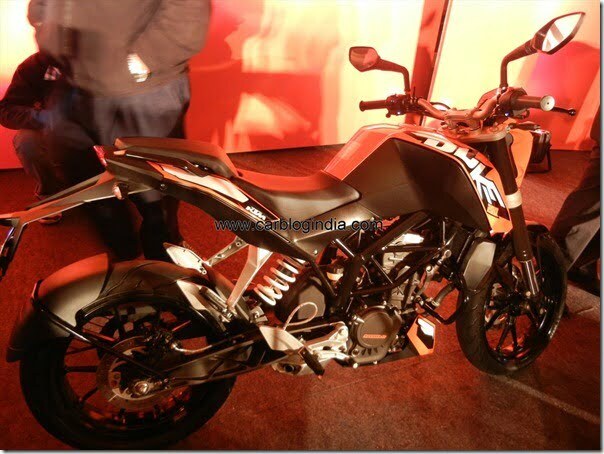 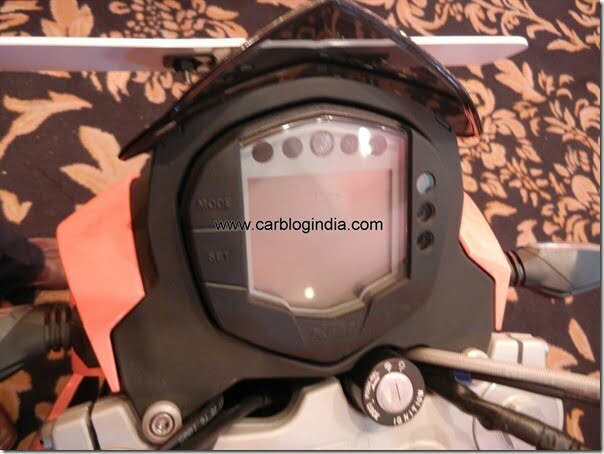 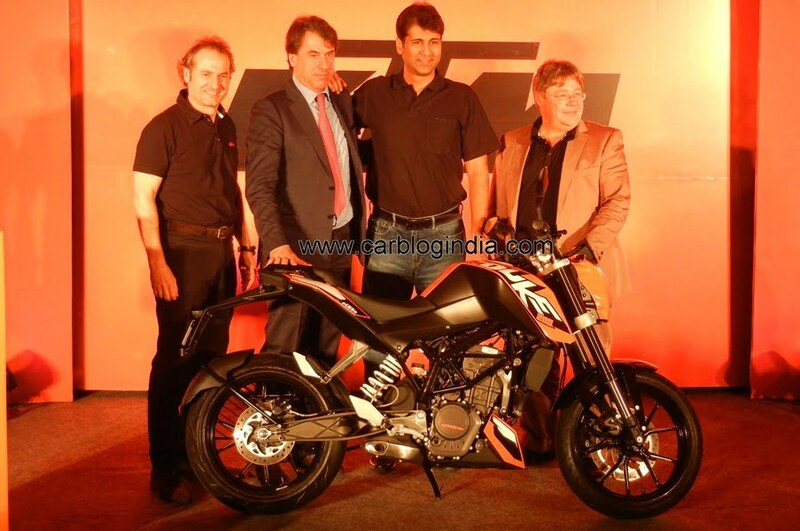 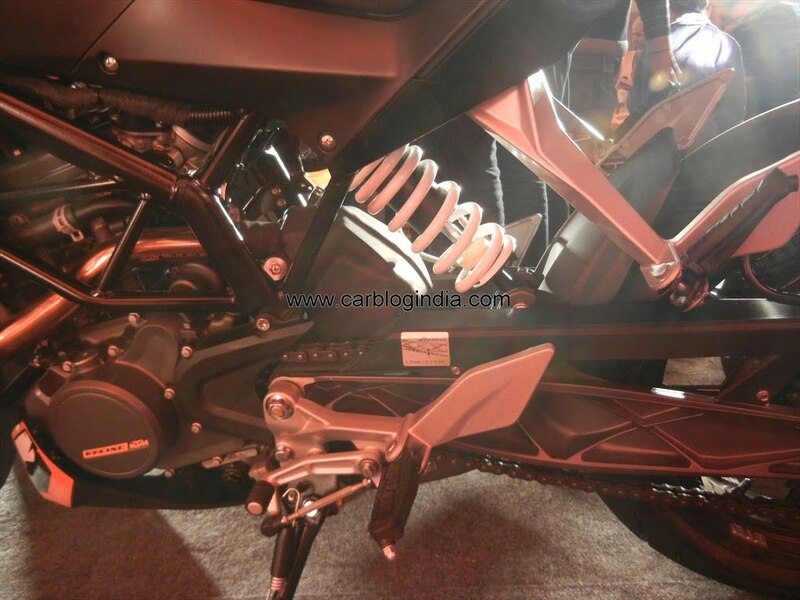 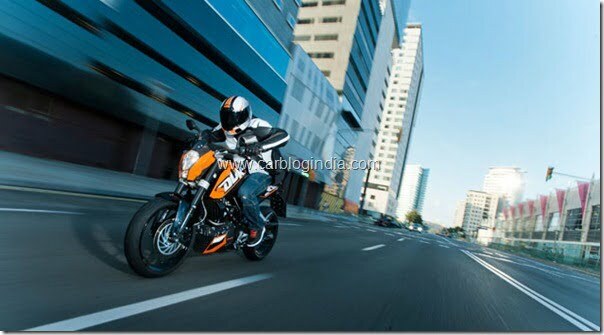 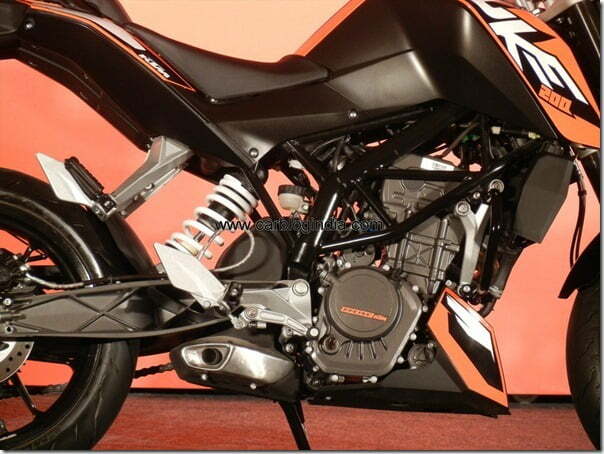 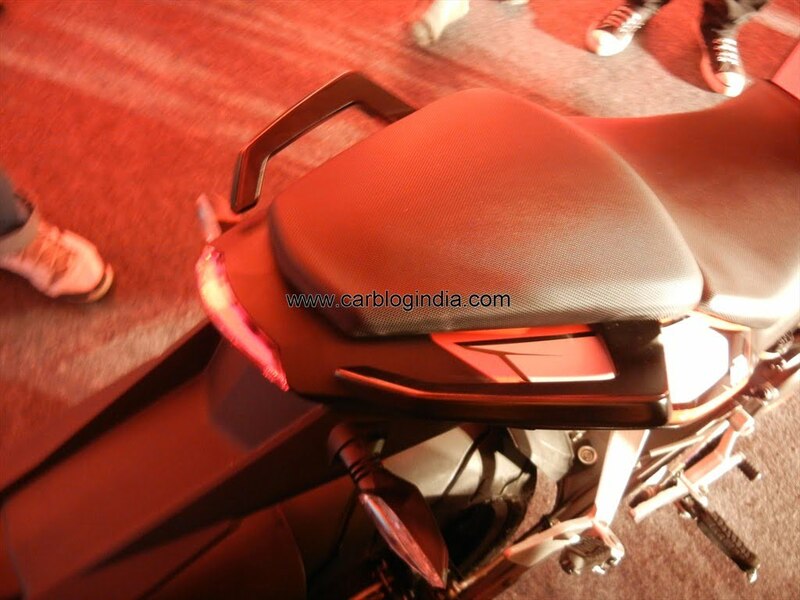 The ex-showroom Delhi Price of KTM Duke 200 has been kept very aggressively at Rs. 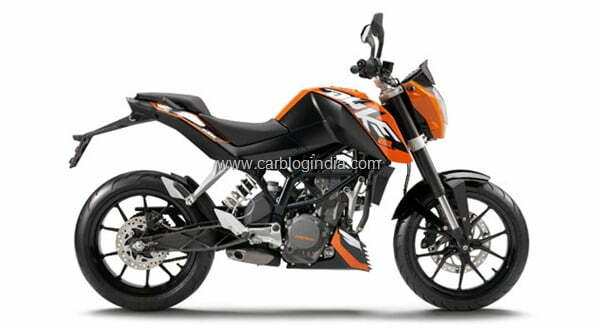 1.17 Lakhs ex-showroom Delhi. 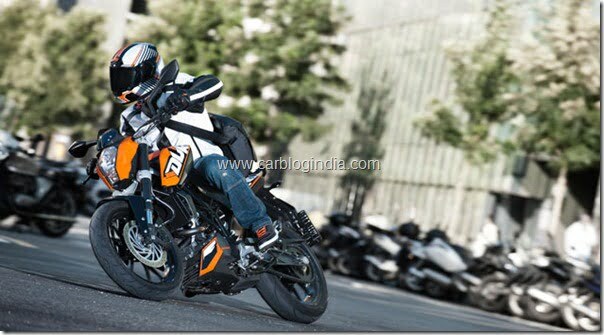 The first offering from the KTM stable in India, the Duke 200 would be retailed through 34 dedicated KTM stores (erstwhile Bajaj Probiking Stores) in India along with KTM’s famous range of Accessories and Merchandise called KTM PowerWear and KTM PowerParts. . 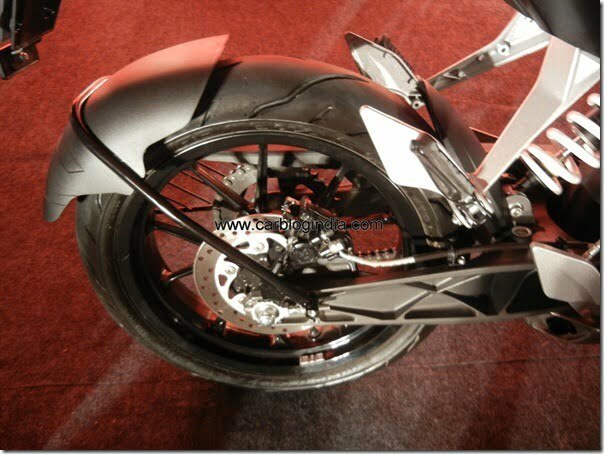 It features first in class features such as a Trellis Frame, Upside Down forks by European specialists WP, an aluminium swing arm, a multifunction cockpit and many more. 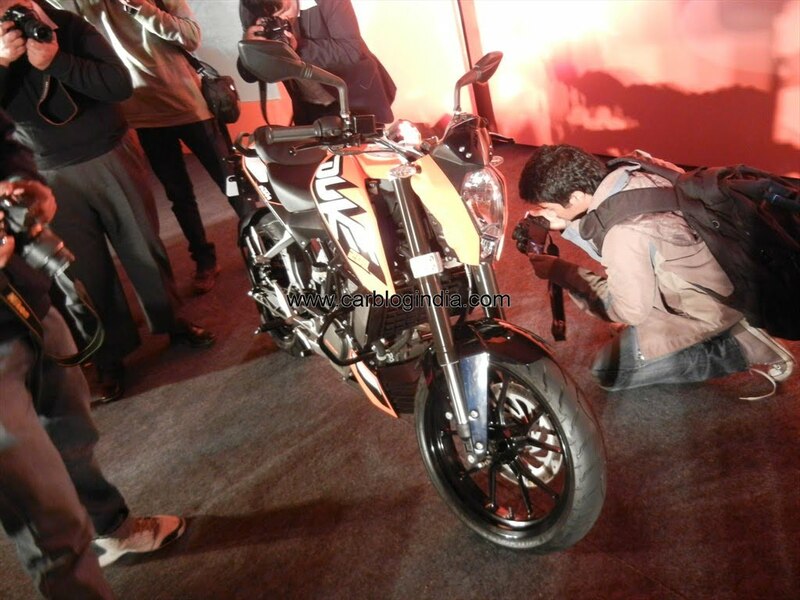 Packed with technology and features befitting motorcycles of far higher segments, the KTM 200 Duke has been launched at an extremely attractive introductory price of Rs. 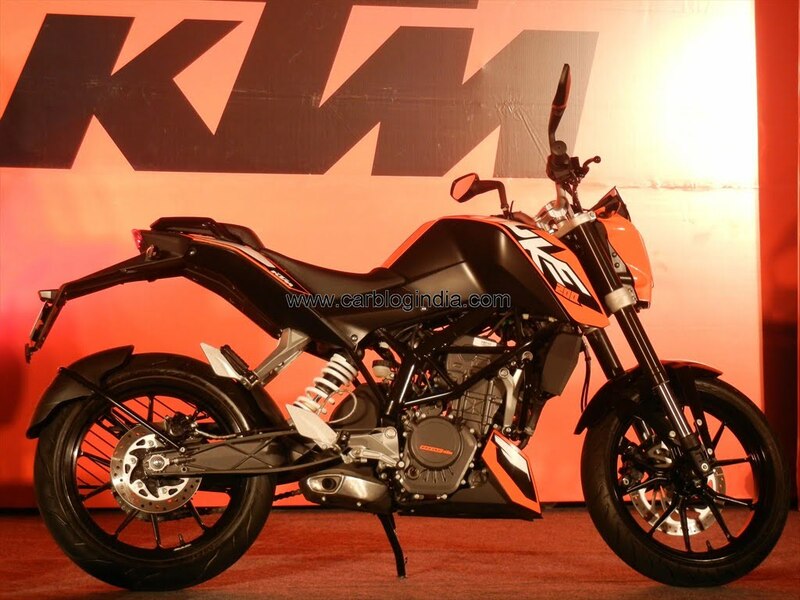 1,17,500 (ex-showroom, Delhi).